The most agreed upon originator of the first live nativity was St Francis of Assisi. St Francis was from Italy and wanted to transform Christmas into a celebration with a focus on Jesus instead of drunken pagan celebration of the winter solstice by adding singing and a live nativity. He essentially put on a show. It makes sense now why we always have Christmas plays. St Francis tried to unite all celebrations of winter under Christmas and Jesus. It is interesting and significant. St Francis was the co-founder of the Seraphic Order in 1209. He wanted to “unite all mystics of all time” under the Catholic umbrella and accepting all beliefs. His goal was to make his religion as acceptable to as many people as possible in an effort to bring people together or at least make religion one less point of division. Live nativities today are not so popular. They require a lot of effort. Static nativities have become the norm in front of churches and some residences. Where once these displays were a point of drawing people in they have in more recent days become yet another divisive point. Every year there is a news story of some local government getting sued for setting up a nativity on public property. 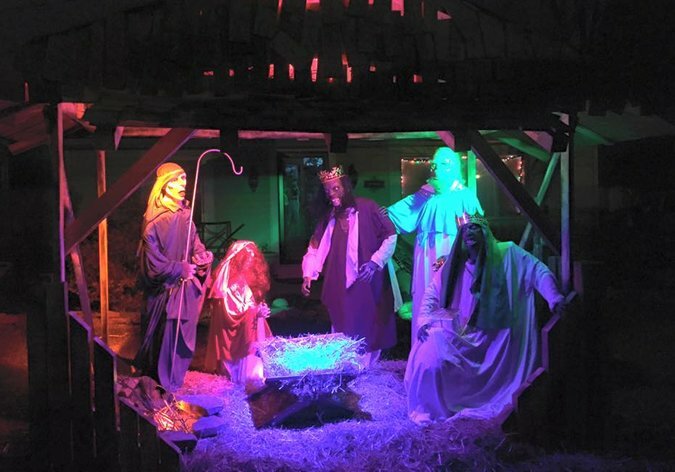 In Ohio a man was taken to court for putting up a “Zombie Nativity”. He used the spectacle to promote his haunted house. It has been the focus of repeated vandalism and fines by local officials. If only St Francis could see what his idea has evolved into. I hope you were informed, entertained and educated. It is your world in XS. Check the links below for easier access to the information in the site. Or just add “xcerptshow” to your google search for some fun discoveries. What is the BEST smart hub for home automation? Which PC gaming headset should you buy? Why do we sing carols at Christmas?